Welcome to our section on freshwater fishing tips. The section is put together to educate you on the things you need to know about freshwater fishing. It doesn’t matter how experienced you are with fishing, the information and tips below will be useful to you. We first educate you on the basic need to know information about freshwater fishing, along with some of the best tips for freshwater fishermen. At the end of this section you’ll find some safety information that every fisherman should know. Hopefully you’ll find this page educational and share it with your friends, family, co-workers and other fishermen. Freshwater fishing is when a fisherman fishes in a body of water that has less than 0.05% salinity. You can find freshwater in ponds, lakes, streams, rivers and they can be both man-made and naturally occurring. 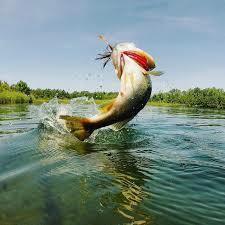 Freshwater fishing is different than saltwater fishing because the species of fish are entirely different. However, there are some fish that can transition from salt water to freshwater. Salmon is a perfect example of a game fish that can do this. They are born in freshwater, then spend a few years at sea and return to spawn in the same freshwater body of water they were born in. Freshwater fishing can be done on every continent across the globe. If you enjoy fishing from a boat you’ll enjoy freshwater fishing. As long as the body of water is big enough and it’s allowed you can take a boat out on it. Unlike ocean boating or extremely large lake boating you can use a small inflatable boat or kayak. By using a boat when you’re fishing in freshwater you can reach areas and depths that you couldn’t from shore. Unless you live on or near the coast you’ll most likely only be able to fish in freshwater. Freshwater is vital to many organisms and is a requirement of life. While water covers 70% of our planet less than 3% of that water is freshwater. Do you plan on going fishing in a body of freshwater? If you are then you need to review our freshwater fishing tips located below. 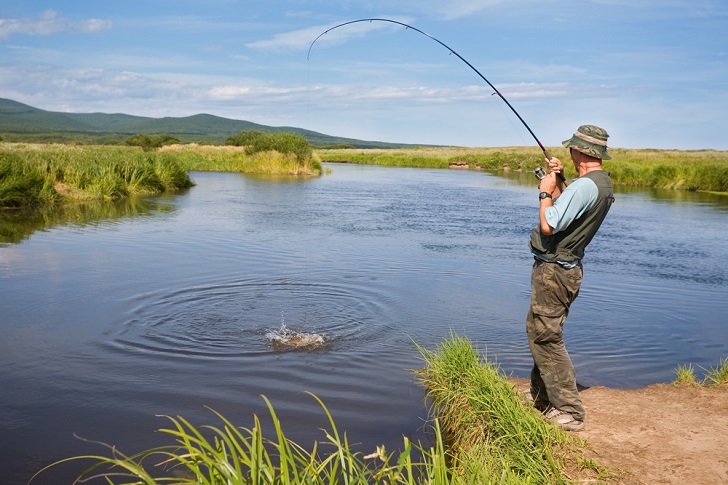 These tips will give you the knowledge you need to improve your luck at fishing. Use the Map – When fishing in a freshwater lake or pond you’ll want to get a topographical map of that body of water. This will let you know what and where the different depths of the lake or pond are. Along with that it may also show you locations of sunken man-made fish cribs. Use a Slip Bobber – Using a slip bobber is a common and easy to use setup when fishing in freshwater. A slip bobber is basically a bobber with a hollow hole going through it. This allows you to tie a knot and a stopper above the bobber. The knot allows you to decide where on your line the bobber stops, thus allowing you set any depth you want without have to sacrifice casting quality. For a specific brand, we recommend the Thill Wobble Bobber. The Best Bait to Use – The best types of live bait to use in freshwater are worms, minnows, wax worms and soft shell (crayfish). Ultimately you’ll want to use whatever live bait is best for the species of fish you’re trying to catch. Some other types of live bait that are also used are leeches, frogs and other odd ball type bait. For artificial bait, there are a variety of different types that work. Two brands we recommend are the Yakima Bait Rooster Tail Spinner and the Strike King Square Bill Crankbait. Wash Your Hands – When fishing in water with little salinity you’ll really want to make sure you keep your hands clean. Fish have a good sense of smell and any foreign scent on your bait or lures can turn them off. Temperature is Important – The majority of freshwater fish species have specific water temperature and weather that they prefer. You’ll want to research the specific fish you’re trying to catch to figure out the best times and water depths to catch them. 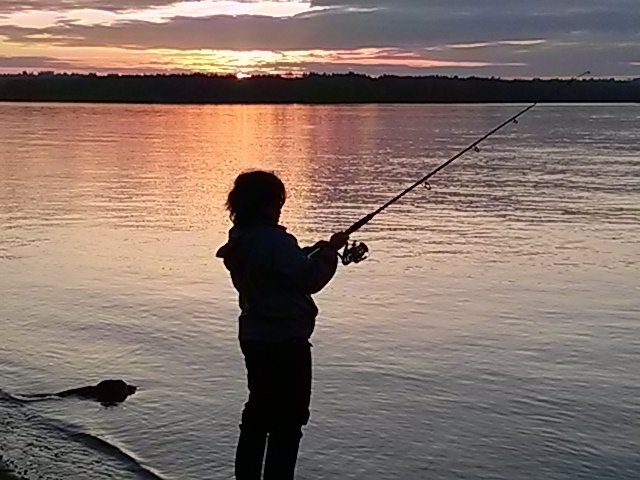 Fishing is a great hobby but like many hobbies you need to follow specific precautions to keep yourself safe. We recommend that you crush the barbs on hooks, this will make removing a hook from skin much easier and unlike what people might say it won’t affect the ability to reel in a fish. You always need to have the proper fishing license and/or stamps, if you’re caught fishing without them you could get stuck with a steep fine. If you plan on wading in a pond, river or lake make sure to use a wader belt to prevent water from rushing into your waders if you stumble. Always use life jackets when fishing on a boat and don’t forget the sunscreen since water can magnify the effect of the sun. The Complete Guide to Freshwater Fishing – This comprehensive book covers every situation that you may encounter when out on the water. You will also learn advanced techniques from the experts.